Is Sylvester Stallone Done with Rambo? When last we heard, Sylvester Stallone was preparing to write Rambo: Last Blood, the fifth chapter in this long-standing action franchise. This was after he'd wrapped filming on Creed, which saw him reprise his iconic role as Rocky Balboa. And it was before Fox announced they were moving forward with the TV drama Rambo: New Blood, which doesn't involve Sylvester Stallone. Now, with the show looming on the horizon, it doesn't look like Sylvester Stallone wants to revisit the role of John Rambo at all. Speaking with Variety, he had this to say. "The heart's willing, but the body says, 'Stay home! It's like fighters that go back for one last round and get clobbered. Leave it to someone else." He doesn't come right out and say he's finished with the character. But that's sure what it sounds like. The TV series Rambo: New Blood will follow John and his son on a new set of adventures as they work through their strained father and son relationship. At the time it was announced, it was assumed that Sylvester Stallone would return for a supporting role. But that didn't turn out to be true. 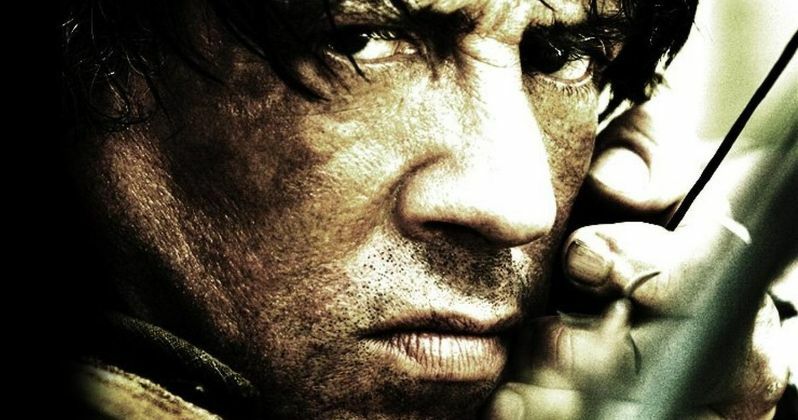 Rambo: New Blood will not include Sylvester Stallone in any capacity. Which means someone new will be brought in to play the aging Rambo. About the concept of the new series, Sylvester Stallone added this. "I don't want to cast aspersions, but it's delicate to try to replace a character with his son. I've seen the son of Flicka, the son of Tarzan, the son of King Kong. It's a very difficult premise." Entertainment One and Avi Lerner's Millennium Films are behind New Blood. They had been trying to get Sylvester Stallone on board for several years. The project was first announced way back in 2013. At that time, it was believed the action icon was in negotiations to help bring this latest iteration of the Rambo story to the small screen. The hope always was that Stallone would help out creatively as well as reprise his character. Without Sly's presence, it's believed that Fox may not move forward with the project, but it could easily find a new home on another network, or possibly a pay cable channel were the violence can be pushed to the edge. Sylvester Stallone, however, is still serving as executive producer on The Expendables TV show, which is expected to debut next year on Fox. It will be a continuation of the film franchise, and will see some of TV's biggest former action icons come together for new weekly missions. And Sylvester Stallone may appear as his character in that film series, Barney Ross. At the time Rambo: New Blood was announced, it was said that Rambo: Last Blood, the fifth and final film in the series, was being put on indefinite hold. At this time, it isn't known what is happening with the film side of the Rambo property. What do you think? Will you watch a John Rambo TV show or movie that doesn't include Sly Stallone?